Lima is a great addition to any contemporary bathroom, due to its elegant style that is enhanced by the straight lines design. 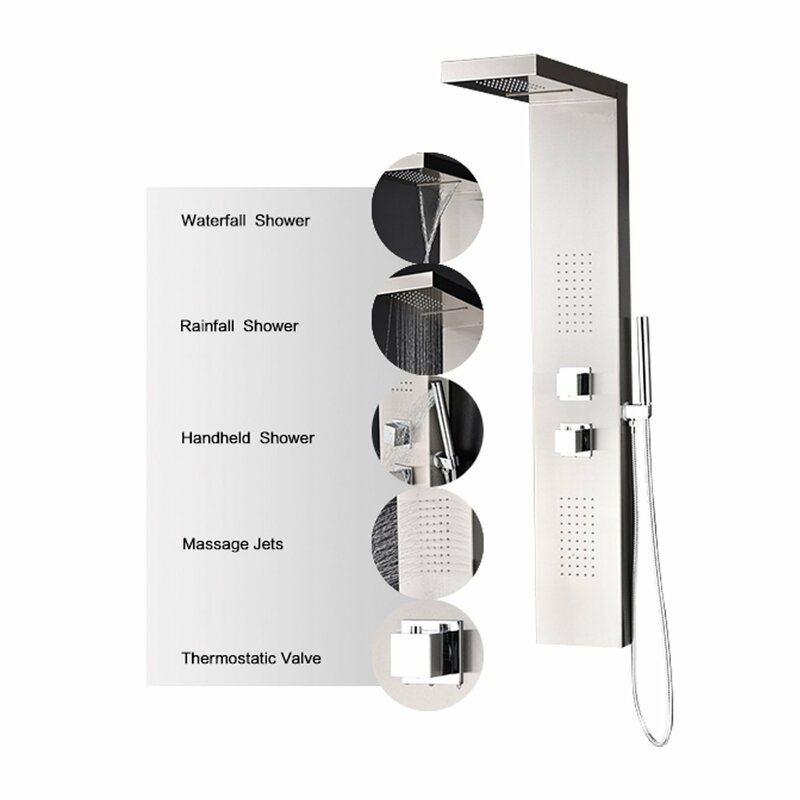 Another key to success for this product is that it offers a complex shower system in a compact setting. 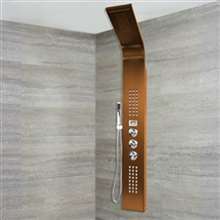 It comes with an integrated waterfall shower, a rainfall shower with 50 nozzles, a hand held shower and horizontal massage. The panel is made of stainless steel and the rest of the materials are all high quality for improved functionality and long lasting life time. It comes complete with mounting accessories and installation instructions. 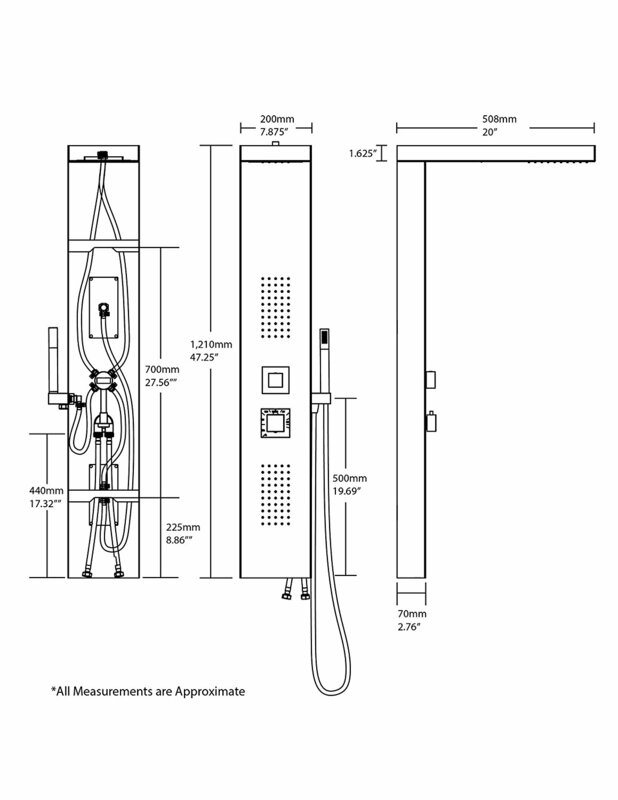 Shower Panel Height : 47.25"
Shower Panel Width : 7.88"
Shower Panel Depth : 3.13"
Shower Panel Reach : 20"
Hand Shower Hose Length : 70"
The unit was poorly packed and arrive heavily damaged. The quality of the unit was also low quality stainless etc. Very disappointed. Also, communications with Fontana both after purchase and post receipt have been subpar. 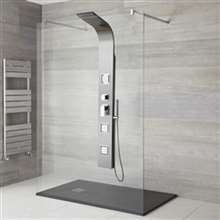 I bought this shower panel during the sale, and I am really happy with it. 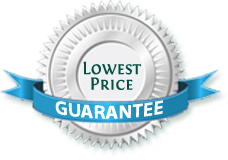 This thing works excellently, and every component and feature mentioned in the product details were present. 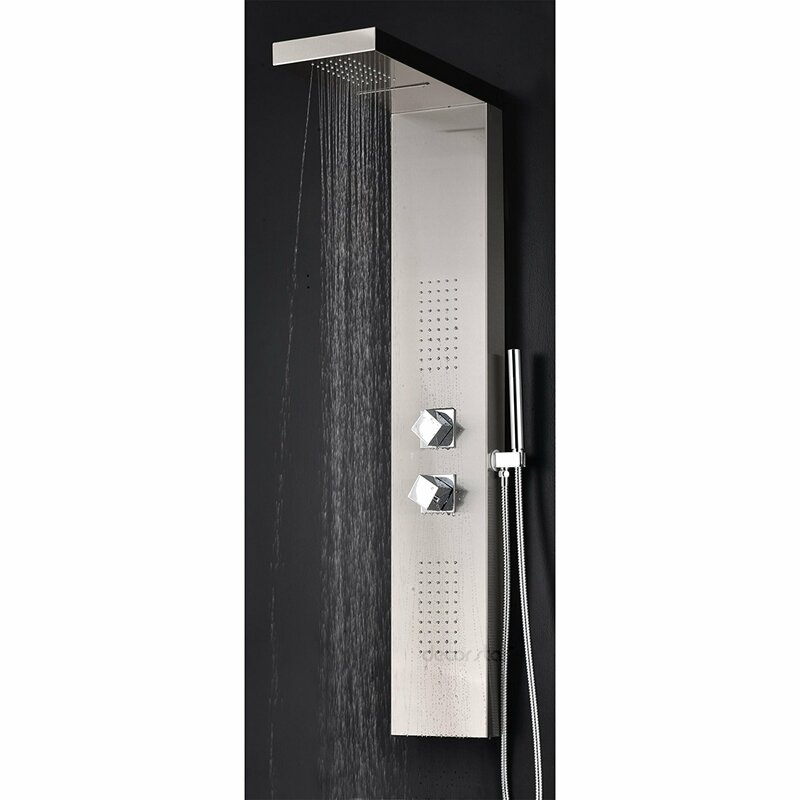 I am thoroughly enjoying showering with this, and I can't imagine ever showering without it. So far, I've had no problems or issues whatsoever, and I really hope it stays that way.